Dr. Kimberly Hambuchen is a robotics engineer in the Software, Robotics and Simulation division at NASA Johnson Space Center. She received a B.E. in Biomedical Engineering and Electrical and Computer Engineering (1997), and M.S. (1999) and Ph.D. (2004) degrees in Electrical Engineering, all from Vanderbilt University. Dr. Hambuchen is an expert in developing novel methods for remote supervision of space robots over intermediate time delays. She has proven the validity of these methods through multiple NASA analog field tests with varying NASA robots, including the JSC Space Exploration Vehicles, Centaur platforms and Robonaut 2, the ATHLETE rovers from the Jet Propulsion Laboratory, and the Ames Research Center K-10s. She was the User Interface Lead for JSC’s entry into the DARPA Robotics Challenge, using her expertise in remote supervision of robots to guide operator interface development for the DRC robot, Valkyrie. 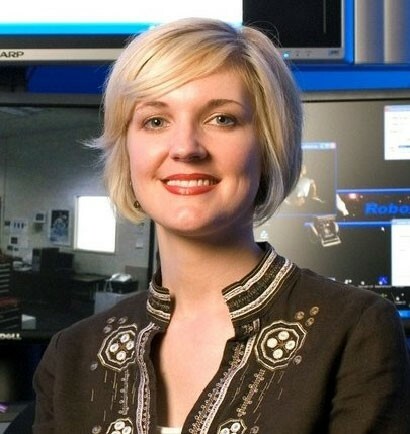 She currently oversees NASA JSC’s participation in the collaboration of the Robot Operations Portal (ROP), which seeks to provide non-expert, web-based interfaces for operating remote robots unavailable to the greater public.